Fitness programs are built upon engaged clients who want to create healthy new habits. But even the most motivated clients can have periods where they’re feeling less determined due to stress, lifestyle, their job, or their family. 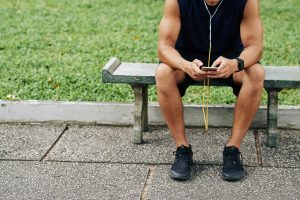 Having fitness apps available that they can use for guidance, information, and communication can help give them the extra push they may need to propel themselves through a challenging workou t.
They allow clients to see their progress in real-time. People work out so that they can look great and feel great, but can get discouraged if they don’t see some growth. Use apps so they can see improvements. Once a clients’ statistics are entered into an app, it’s easy for them (and you) to see topics like weight loss, heart rate changes, improved sleep, and number of steps completed per day. They guide clients when you’re not there. When you think of it, the list of things that clients have to remember every day can by dizzying: Drink 12 cups of water on a day with a heavy workout; perform several sets of exercises because it’s “leg day,” start a new cardio workout. Sometimes, they’ll be working out with you and you can challenge them, but there are times when you won’t be around – so how do you keep them accountable? With an app, it’s easy. You can ask clients to check in by logging their start/end times for workouts, tell you how much water they’re drinking, or even track how hilly the terrain is when they go for a job. It can all be done by fitness apps. They prompt clients to share their progress with friends. Talk about engagement: social media gives you the tools to share your vacation, your food, your day—and now, your workout. Some fitness apps are highly social, allowing clients to post to Facebook, Twitter, and Instagram any time they are impressed with their workout or a particular statistic. In return, their friends post congratulations and supportive comments, which makes it likely that a client will continue their fitness journey. Your name will be out there, too, and people will remember you as the trainer who made their friend so fit. Apps for personal trainers allow you to communicate with your clients when they need you, offer encouragement and guidance, and make workouts a lot more fun. If you would love to create an app that accompanies your fitness brand, contact Fitness Marketing Solutions today and start using this interactive tool to grow your business.